The kindness of one family made a world of difference to this lucky deer. 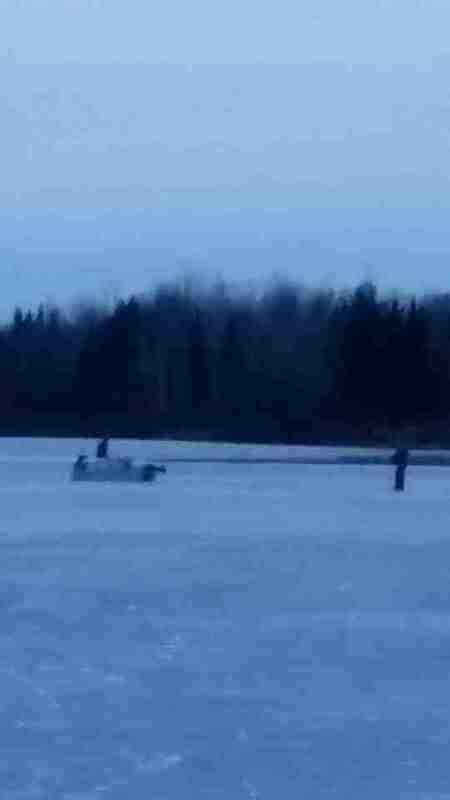 Last week, a Duluth, Minnesota, family spotted a group of three deer that had fallen through the frozen lake near their rural home, according to wildlife rescue group Wildwoods. 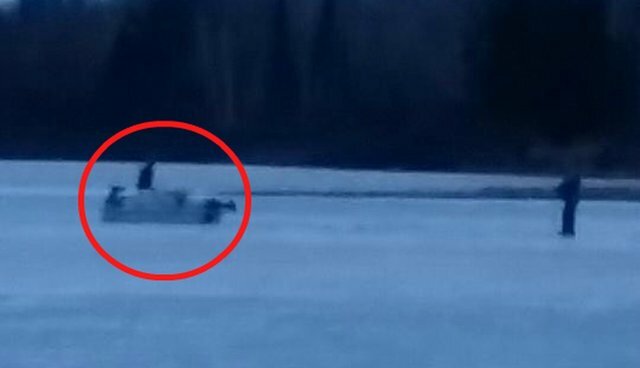 Knowing the deer had been in the freezing water for hours, the family got into their boat and paddled through the icy lake to reach them. Sadly, one dear had already drowned when they got there. But the family pulled one of the remaining deer onto their boat and towed the other behind them, after wrapping her up in lifejackets to keep the exhausted animal afloat. "Though it seemed unlikely that either would survive, the family wanted to do everything they could to give the deer every chance to recover from their ordeal," Wildwoods wrote on its Facebook page. 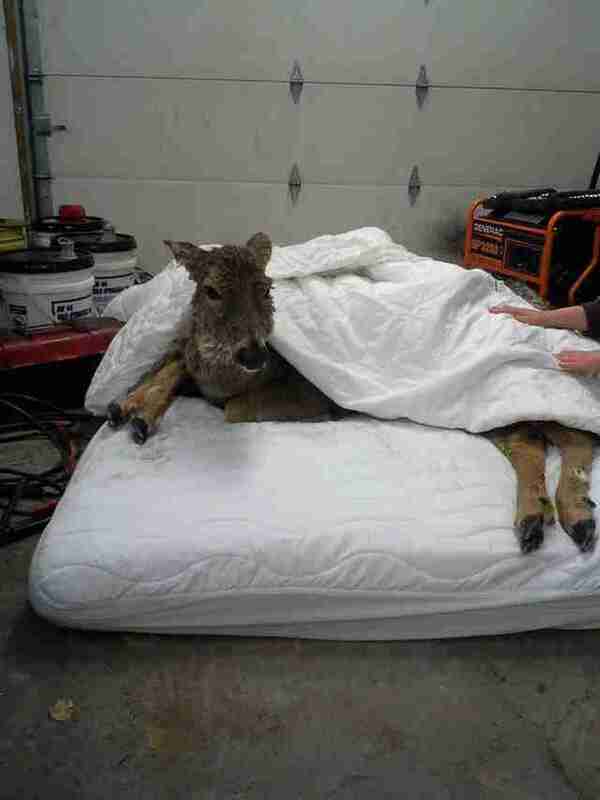 So they dried off the deer and wrapped them up in blankets, leaving the animals to recover on a mattress in their heated garage. Unfortunately, one of them passed away during the night. But the other was awake and alert the following morning. "As soon as they opened the garage door for her, she charged out and headed back into the woods," Wildwoods wrote. Thanks to this family, the surviving deer beat the odds - which just goes to show how much good one act of kindness can do. If you find a wild animal in need of help, contact your local wildlife rescue or rehabilitation center for assistance.